The roller bearing is capable of carrying a greater load than the same size diameter ball bearing. It has a split outer race shell into which the roller assembly is inserted. Standard Colson roller assembly features hardened steel rollers enclosed in a thermoplastic case on 1-1/2″ and 2″ tread width wheels. Metal cage roller bearings are available (Specify WB29) and are standard on wheels with tread widths of 2-1/2″ and larger. Combination seal/thrust retainer washers protect the bearing from dirt, water, and chemicals. They also help absorb thrust friction. 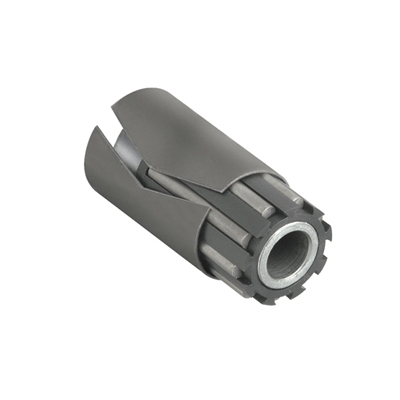 Note: Roller bearing must be used with hardened spanner bushing or hardened shaft.